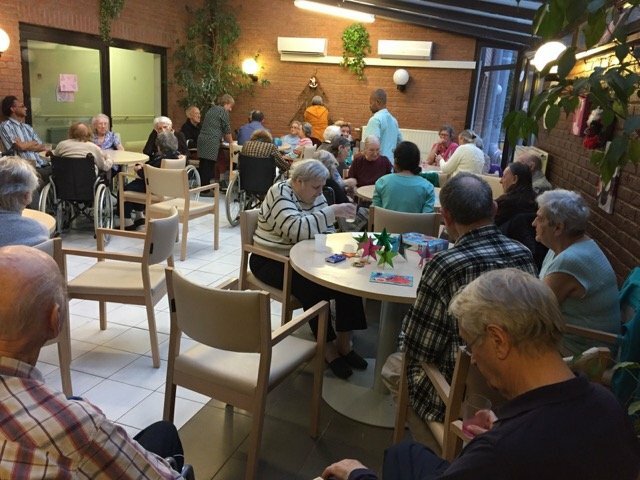 A group of volunteers from Benelux went to a nursing home in Brussels to share an afternoon with the elderly who suffer from mental difficulties. The group arrived after lunch and joined the elderly residents at the table to get acquainted with them. 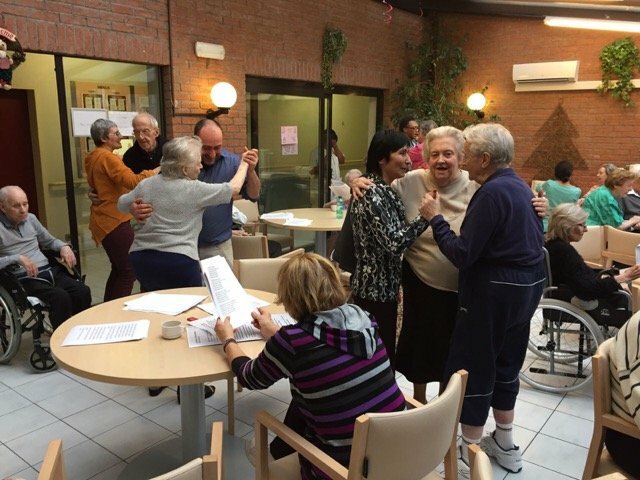 After a bit of socializing, the group invited the residents to sing old French songs and to dance to them. All of the residents immediately played along, remembering the songs from their youth by heart or with the help of printed copies of the lyrics. It was a great atmosphere, everyone participated and was singing along loudly. It was a funny and enriching afternoon, not only for the residents but also for the group, who left with a contented smile on their faces.